What? - De website van projectistep! In recent years, VET colleges have shown impressive progress in developing entrepreneurship programmes in their schools. An increasing number of colleges have such a programme in place. In addition to this, the quality of the programmes is increasing and more entrepreneurship programmes are including competence based content and learning which is based on active learning. Even though many colleges, besides entrepreneurial behaviour, also promote international experiences for their students, the connection between entrepreneurship and internationalisation is made rarely. Wouldn’t it be great if students that work on entrepreneurship, were given the opportunity to work with foreign students and explore possibilities for internationalisation? This is exactly why the I-STEP project was initiated! I-STEP kicked-off in September 2016 and with its 2 years duration it closed in August 2018. 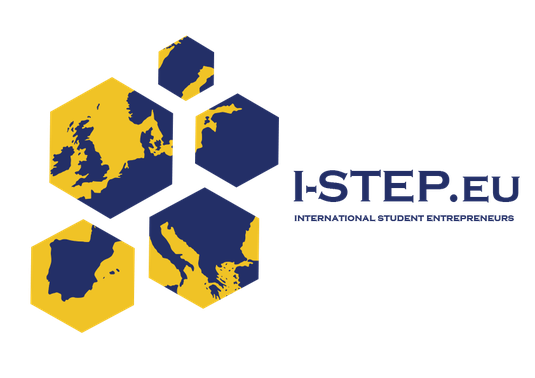 I-STEP is short for International Student Entrepreneurs Programme. The project aimed to enhance international entrepreneurial skills and attitudes of teachers and students in VET by creating an international dimension to entrepreneurship programmes and strengthening the local and European (business) network. The project targeted VET colleges in Europe with an existing entrepreneurship education programme for their students. The I-STEP consortium helped these colleges add an international component to their programmes. I-STEP online platform and community where all materials can be downloaded for free and where students and teachers can work with their counterparts in other countries. I-STEP quality label that VET schools can use to promote their own institution and announce their advanced knowledge on and activities in the field of international Entrepreneurship. No entrepreneurship programmes are in place that have a clear and high quality international dimension. Internationalisation is important to develop graduates who possess adequate skills, knowledge and attributes to engage and perform in a globalised and intercultural world. Besides, it enables young people to become successful entrepreneurs that look beyond country borders. I-STEP addressed the need for VET students to exploit the opportunities the EU market offers. The project had a strong added value at a European level, as it encourages cooperation of different nationalities, cultures and fields of education. Please visit i-step.community for the I-STEP materials and results! Subscribe to the I-STEP newsletter!